Scrap Steel – Pre-shredded steel sheets, metal drums etc. Electronic Scrap – WEEE Directive Materials, meatballs. 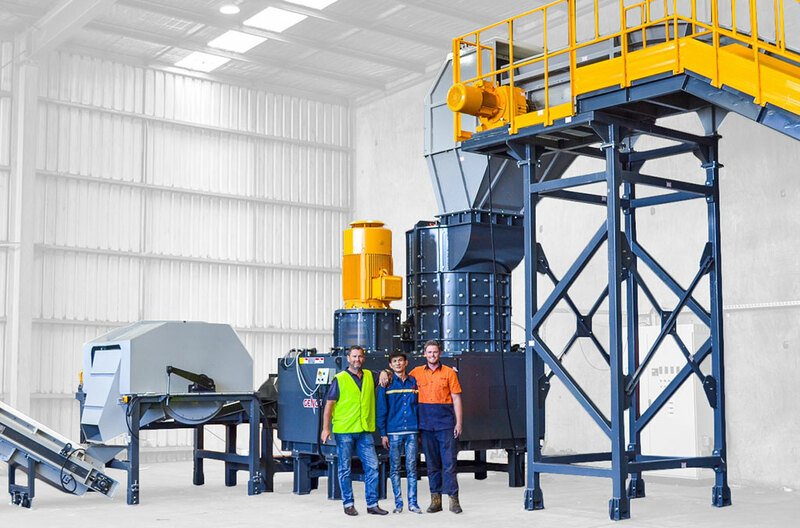 C&D Waste – Concrete, Timber, Plastics etc. Timber Waste – Pallet wood etc. 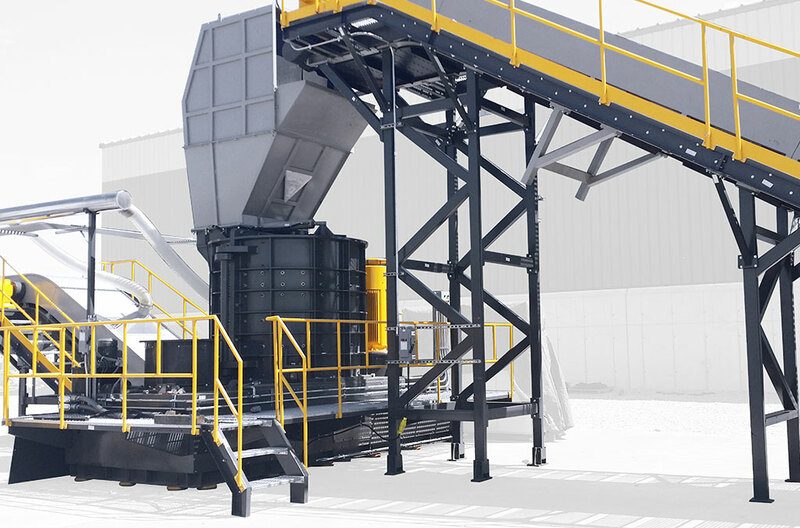 Z Series Vertical Shredders are mostly recommended for applications processing pre-shredded metal scrap from twin shaft shredding systems. 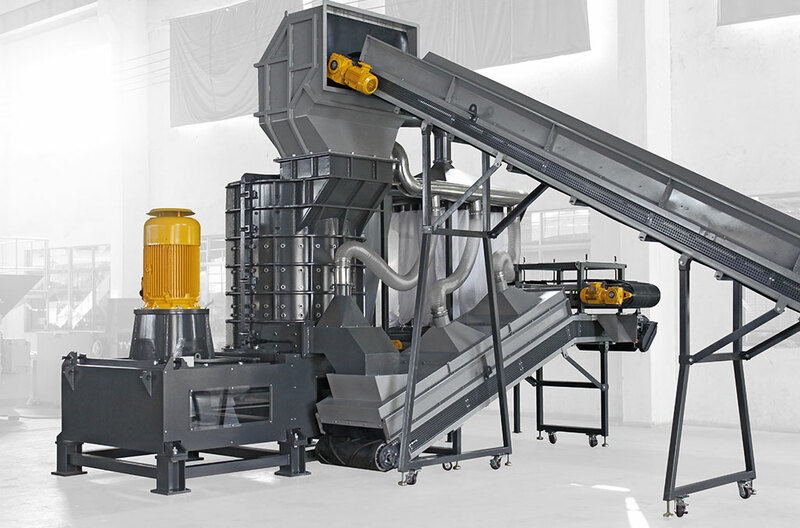 These machines aggressively size reduce and densify pre-shredded material whilst liberating the various different fractions, allowing for better separations and reduced transportation costs. The breakers in the upper part of the chamber smash the material until it is small enough to enter the gap between the milling rings and chamber liners. When the material enters the second stage the milling rings impact, grind and roll the material into clean, dense nuggets. When milled in to small enough pieces, the balled-up material falls into the lower chamber and is ejected by the discharge paddles. 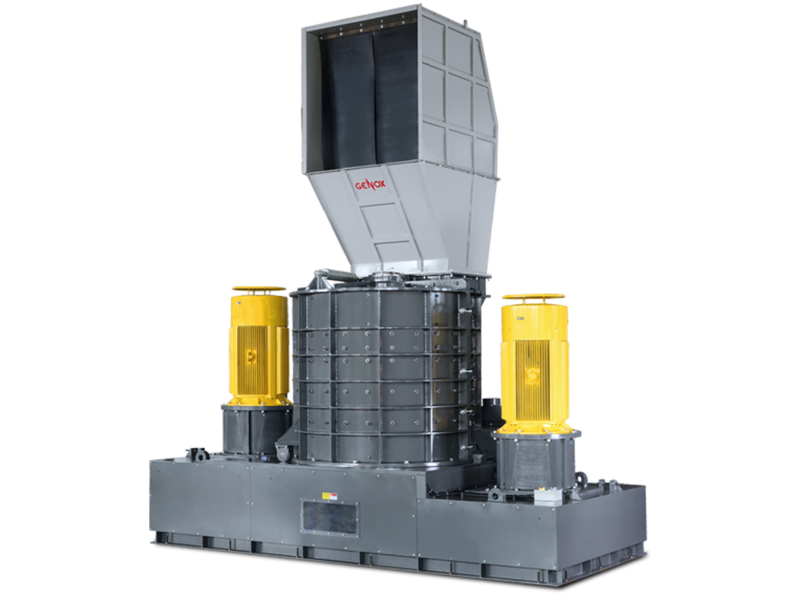 The three above stages create a product which is both clean and of high bulk density suitable for transportation. Strong welded construction from heavy gauge, wear resistance steel plate. Integral, annealed and CNC bored two piece chamber for quick access and simplified maintenance. Durable, wear resistant, replaceable breakers, milling rings and chamber liners. Oversized, spherical rotor bearings with advanced seal protection – prevents bearing damage due to product migration. Adjustable product size control by changing the chamber liners or rotor tooling. Replaceable heavy-duty wear plates in the shredding chamber. Stand Alone Electrical Control Panel - using quality Schneider components and Siemens PLC.